Find more details on adding SharePoint Sources in QnA Maker in “Add a secured Sharepoint data source to your knowledge base” documentation. 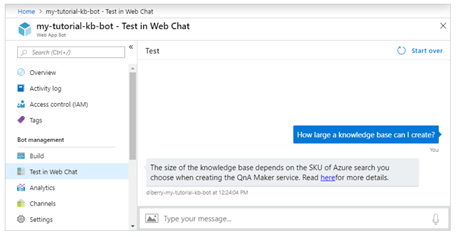 The QnA Maker service is now integrated with healthcare bot, allowing you to extend the healthcare bot experience by connecting it to your knowledgebase (KB) or easily add a set of chit-chat as a starting point for your healthcare bot’s personality. 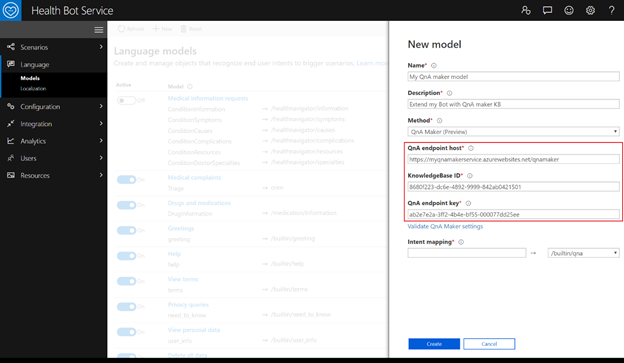 Find more details on adding QnA Maker model to healthcare bot in “Extend your Healthcare Bot with QnA Maker” documentation.